Sunday night I had a dream I was pregnant. Not the first pregnancy dream I've had and maybe not the last but this one was different. I didn't have a swollen belly instead I had in my hands a positive pregnancy test. I ran all over Vancouver looking for Doug to tell him we were going to have a baby. I knew for certain it was going to happen. I had no doubts, or fears, our moment had arrived and I was confident. When I awoke I wasn't sad as I often am after a night of "being pregnant". I wasn't longing for that belly, or to feel them inside me, I was just excited. I felt certain something amazing was about to happen. I read pregnancy dreams represent being "pregnant with anticipation". Now normally I would say bull****. They usually seem pretty straight forward to me. Infertile woman longs to be a mother, it's been 7 years and I've had a lot of these. This one was so different though. They didn't feel inside me they simply felt a part of me. A part of everything. I did feel pregnant with the promise of something amazing. I felt incredible. Monday I started to get a bit jumpy when the phone rang. I was very asthmatic so running to the phone was a bit of a challenge but I was definitely in the zone. In the back of my mind I thought today could be the day and when a telemarketer phoned I may have hung up on them twice without saying a word. I do however promise to teach my child better manners... Most of the time. When Doug arrived home that night and I told him today was not the day in a very dramatic exhausted tone that Greta Garbo would be proud of he informed me he already knew that. He explained that our worker would likely be busy catching up on paperwork today but that tomorrow we would get the call. Just like that. He was so matter of fact I believed him. Now no one knows when the call is going to come and to be honest Doug had become pretty jaded by the process so for him to be so certain I figured he must know what he was talking about. I knew he was trying to amuse me but I was still willing to bank on it. Tuesday morning I received several calls from a private caller. Now for those of you who have phoned me you know I NEVER answer the phone. Not because I'm doing something better with my time (well, sometimes I am) but mainly because I am extremely antisocial. I have to pre-plan phone calls. That actually sounds sort of sad when I type it out. I guess I should take "exceptional social skills" off my resume. I have phone issues but especially with private numbers! I avoid those at all costs. By the third phone call though I thought what if this is the call? What if here my worker is trying to phone me and I'm being a big weirdo refusing to answer? Destiny is calling me and I'm too busy watching a friends re-run to answer? Sort of pathetic even for the socially challenged. I finally answered the phone and indeed it was our social worker!! She asked me how New York was? She asked me how long we had been back? I honestly wasn't sure if this was The Call or if she was just making sure our vacation went well. Either way it's nice to be thought of I suppose. After a minute she said "I'm phoning with good news". My heart stopped. I swear I couldn't breathe and with tears in my eyes I whispered "Oh my god." She told me she was looking at a beautiful tiny little baby boy that was ours. I can't even tell you what I felt. My heart felt so huge and I wasn't even sure the moment was real. She e-mailed me his file and there was this tiny, beautiful, little man who was so clearly ours. I looked at his sweet face and all I could think was, of course it's you. We've waited so long for you to arrive. For years (4 to be exact) I've planned how I would tell Doug. It involved set design, a video camera, props. This was a highly thought out operation. When the time came though I abandoned all and phoned my husband. I thought I was all calm, cool, and collected, but when I heard him say hello I completely dissolved into tears. The poor guy thought one of our cats had died. True Story. He thought a cat had died. When his wife tearfully exclaimed "We have a son! We have a son!" There was silence. "Are you serious?" I know I'm a bit crazy at times but I certainly wouldn't crank call the man about this! When he finally realized the cats were alive and he had a son he sighed. A big beautiful sigh. Next on the list was my Mom. She answered the phone and I asked her to sit down. Much like my husband she thought something bad had happened. Granted it's only been 6 months since our best friend died so it is understandable everyone is a bit jumpy. I told her it was a boy and she said "Are you kidding me? Is this a joke?" Apparently my sense of humor could use some work since the two people who know me best think this would be my idea of funny. Duly noted you two. Duly noted. Finally she understood and all I could hear was crying and screaming which of course set me off for more crying and screaming. I love him so much. He is just so precious I can't wait to share him with all of you once we pass court. We are love struck. Next I wanted to phone Tim. I wanted to phone Tim so badly and it took me a few deep breaths to accept that wouldn't happen. I felt him though. I could see his smile looking at me as I sat there laughing and crying gazing at our son. I phoned Rachelle next and her happiness made me feel like the four of us were in this moment together. It was wonderful. A truly beautiful moment and I thank her sincerely for that. I spent the rest of the day phoning friends and family and then got bored and wanted to phone Doug's friends and family. He was understandably a bit picky about that. I did a lot of pacing and eating chocolate. When he walked through the door we both just ran to each other. This little man is more than we ever could have dreamed. Sweeter than the sweetest dream. We are so thankful. I want to take this time to thank everyone who has been part of our journey with us. We could not have done this without you. When our agency went bankrupt the outrage, love, support, that so many people provided us was inspiring and continues to inspire us. Then when Tim died in December I wasn't sure how this moment would feel without him. We are still grieving. We are still recovering, but the out pour of love and excitement we have received in the last 24 hours has been extraordinary. I would like to send a special thanks out to Tim's mom and sister as well for their heartfelt joy which made Tim feel like he was right there next to us. The moment was made so much more sweeter rather than bittersweet with their support. A special thanks to all our friends and family and the e-mails and phone calls have been amazing. I was up at 4 am just looking at our son and falling more and more in love thinking how truly blessed we are. Finally, while I can not share his photo I would like to introduce you to the newest member of our family Ozington Theodore Rodenburgh-Roberts!!! He was born March 2nd, 2011 and is the brightest light I have ever seen. Words can not express how fortunate and appreciative we are but I hope you know we share this day with all of you. You are all part of our son's story and Oz will surely know just how many people helped bring him home. 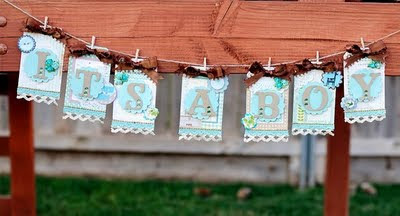 The above garland I ordered for our "coming home party" and I am so excited to have it in my hot little hands!!! Congrats on your wee son!!! Enjoy staring at those photos! What a precious time. Maybe we will meet up in E - would be great to meet you!!! blessings to your new family!! I am so overwhelmed that I am crying for you right now. This news is so amazing and it greatly encourages me as we have not heard from anyone is what seems a very long time. I rejoice with you and Doug and please...keep me posted on when you take your trip. How wonderful and magical and well deserved. I doubt a baby will ever be so perfectly loved and appreciated and swooned over! Congratulations ! I am so happy for you. hey I've read you blog for over a year now. I just wanted to send you 2 a heartfelt congratulations, may all the paperwork needed to bring him home be completed fast, and you only have 1 court date . Amazing Jessa. So thrilled for you and Doug - and this post is absolutely beautiful. I am crying tears of joy and happiness for your family. Ps..that is very funny that both your sweetie and mom thought you were joking! Ps...I'm also so sorry to read of your friend...so hard. Still EEEEEEEEEEEEEEEEEEEEEEEEEEEEEEEEing? I am for you!!!!!!! i just found your blog today and wanted to tell you that that was absolutely transparent and beautiful. thank you. I know I already knew this news, but still... I can't remember the last time a blog post made me so happy to read! I miss your lovely and insightful blog posts! Incredible story! Love, love, love that you had that dream and that finally, your dream really did come true! A huge congratulations to you on the referral of your sweet boy!